WOBB’s The Awesome Career Fair Vol. 4 had 570 shortlisted candidates out of a whopping 3700 applications to meet with 30 companies ranging from MNCs to startups. Candidates were able to interact comfortably with companies in a more casual setting that allows them to deepen the understanding of the work culture of a particular company better. Anyone who’s been on the job-hunting circuit will know the standard career fair. Usually held in a multipurpose hall or convention center, you’ll be one among thousands of people walking around enquiring about jobs and dropping their resumes. However, WOBB‘s come up with another concept for career fairs called “The Awesome Career Fair” (TACF). Volume 4 of the event was hosted not at a convention center or hall, but at a bar! 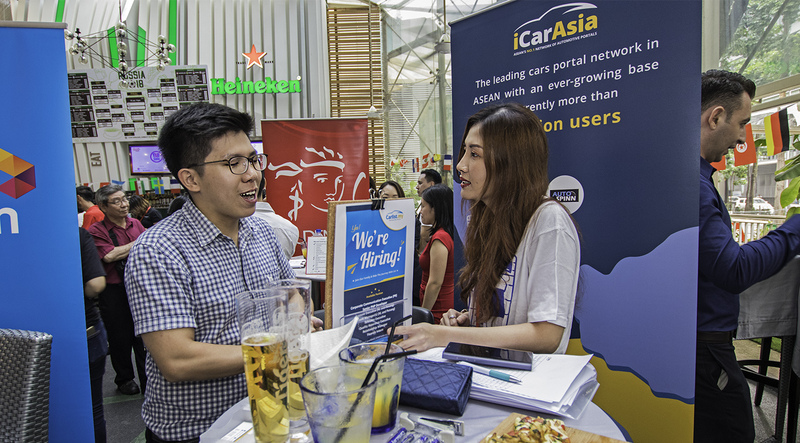 Held at Tujo Bar-sserie & Grill, Ascott Kuala Lumpur on the 7th of July, the event’s aim was to help employers and candidates chat in a casual setting. It gathered 570 shortlisted candidates out of a whopping 3700 applications to meet with 30 companies ranging from MNCs to startups. 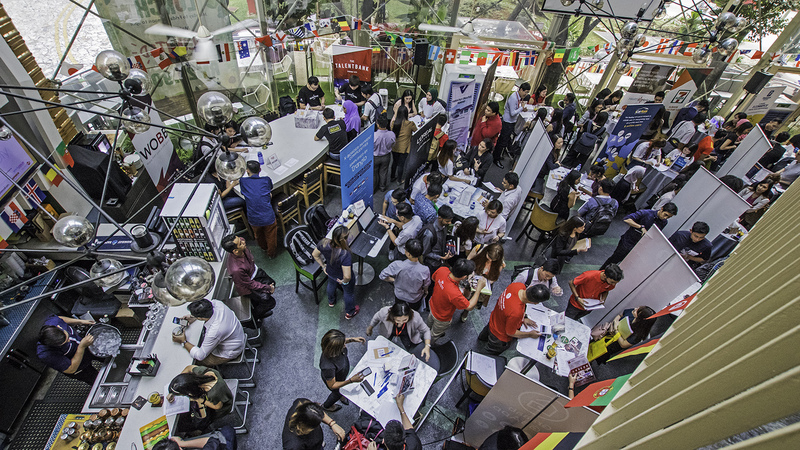 Employers and job-seekers were served free alcoholic and non-alcoholic beverages, and pizza. 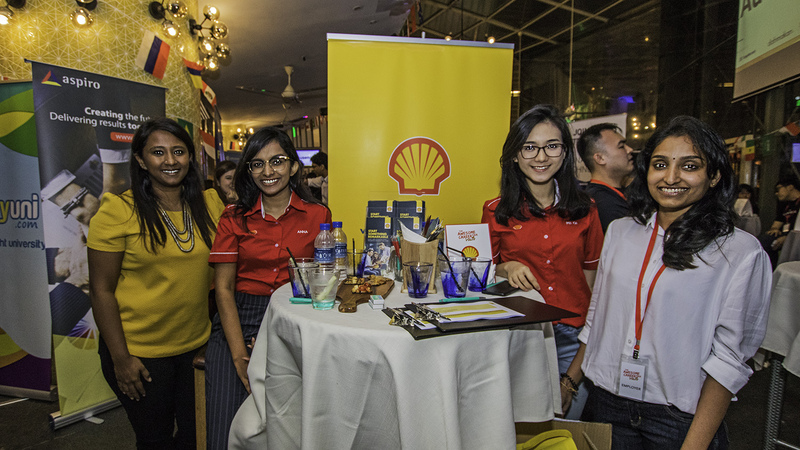 Some of the companies spotted at the event include Shell, Celcom Axiata, TIME Internet, Ambank Group, L’Oreal and many more. If you think about the traditional job hunting process, many corporate employers usually conduct a phone interview followed by countless face-to-face interviews to further evaluate candidates. This wastes a lot of time. WOBB initiated TACF to ease the process by manually screening potential candidates prior to the event so that only relevant and high quality job seekers were invited. The atmosphere they created also was meant to help make the getting-to-know-you process easier. “I think candidates and employers are much more relaxed which enables both parties to share a certain knowledge and insight, from expectations, culture and experiences,” shared Lai Wai Fong from Graaab JaGaApp, a community security app company. To organise such events, Brian Lum from WOBB says that it was quite a challenge to get companies on board as the idea of having a career fair in an F&B outlet (and a bar at that!) was unconventional. Thus, they needed employers to see the value in TACF. After all, employers can get more candidates in a traditional career fair where they go through hundreds and thousands of candidates in a few days. However, in a traditional career fair, the quality of candidates cannot be determined because anyone can just walk in and drop their resume. This is where TACF differentiates itself as they do the screening for the employers before even inviting candidates to join. Brian says that they will be planning more future events with a similar concept soon with at least 50 employers and in a larger venue. You can check out WOBB’s website here for updates.